Try to imagine: you’re lounging in the bath, enjoying the bubbles and scrubbing off the day’s mess when suddenly, you are accosted by a squirting bath toy! WHAT WOULD YOU DO? Thanks Grandma and Papa for sending this new toy in the Easter package. Dom and Pogi both love it, see? We didn’t have any milk this morning. Curses! 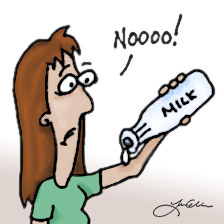 But on the flip side, it meant that I could use this awesome “no milk” cartoon of mine again. Remember when I used to doodle cartoons? 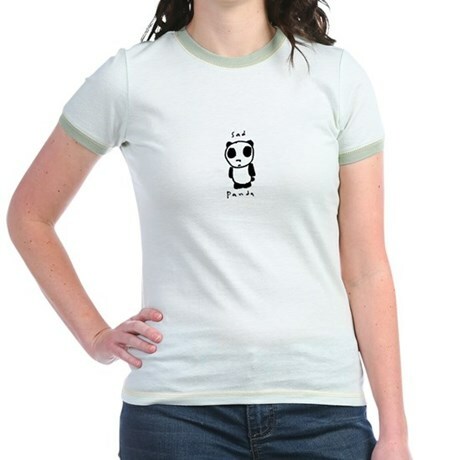 Yeah, I do, too. Turns out, taking care of an infant is not something I can multitask very well with. I suppose that I better learn. I keep thinking that I will clean things while he naps, but then all I do is go to the bathroom, eat some food, and Dom is awake again. Lately his naps have been maybe 30-45 minutes and it seems I cannot get a lot done during that time frame. I had this crazy idea that I would do this workout at home during one of those naps at least ONCE this week. Ask me how many times I actually did. We could have gone to the store to buy milk for breakfast, but have you seen THE AIR?! You might die if you cracked your door open. Instead, we spent the day wandering around the house with a caulking gun searching for any cracks where the deathly outside air might seep its way in and murder us in our cozy little condo. Or… we didn’t. With Nathan home on Saturdays, I think that I finally will clean things, but instead, the focus was on making some decent food instead of just eating cereal (remember how there’s no milk? how quickly you forget…). For breakfast, I made a hash (not hash, A hash–we don’t do drugs round here) with potatoes, green peppers, onions, garlic, ham, eggs and cheese. Oh and plenty of butter, too, because I AM my mother’s daughter. Nathan took the delicious and extremely juicy grapefruit we had left from Mom & Dad Elkins (grown sweet and fresh in Texas!) and squeezed out a pitcher full of fresh grapefruit juice! It was sinfully delicious. That was breakfast. Dom’s breakfast was breast milk. For lunch, Nathan ate 50 chicken wings and I had a roasted sweet potato salad made with watercress, walnuts, feta and a vinaigrette. This is because my mother and my aunt both told me to eat lots of sweet potatoes. I try. And I haven’t been eating wheat. Try that some time. Not as easy as you might think. Turns out, I ate wheat for EVERY meal AND snack. Even Butterfingers have wheat. Sigh. Anyway, I made an “iffy” attempt at throwing together a little Dominic montage video for Grandma Elkins. We call it chill Dom. It makes it seem like life is just roses and butterflies with this little guy. He NEVER cries. Just sits around staring or smiling. That’s it. He has only two emotions so far. Yep. We love him despite any crying and fussing. He is, after all, living in this wonderful telestial world. Dom had his two month appointment. At his two week, he was in the 3rd percentile for weight. Our doc was a wee bit worried about his weight gain. I kept thinking about how it felt like all I was doing was nursing, but that was far from an easy task. Plus, he had a tongue tie so that wasn’t helping either of us. We had that fixed when he was four weeks old. It was sad to see his poor wound from getting the frenulum of his tongue snipped, but we knew it was for the best. 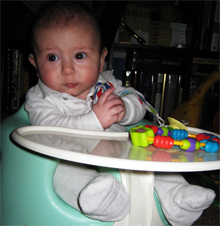 And it was: at his two month appointment, he weighed in at the 46th percentile. Nice work little man! For his weigh in at his appointment, I carried him over to the baby scale, which, as I mentioned before, is out in the area where all of the Medical Assistants are sitting at their computers (so private!). Then just as I set him down, I removed his diaper for the naked weigh in. Dom responded by saying, thanks for lying me down here totally naked, I shall now pee on the carpet. And he shot off a golden rainbow. Nice work. Here’s our first Dom video for this blog. Oh goody! It’s nice and short, and from a few weeks back when we were starting to get big smiles. Now we get lots of smiles all day. Is very nice. And a random thought to share with you that I had while I was showering today: babies change a lot in how they look from the day they’re born and definitely for the first many months of their lives. We are often surprised by this. Can you imagine, though, if you saw one of your good friends, then two months later, ran into them again and he’s nearly doubled in weight since then? “Oh, hey Tom, you sure look… different.” Or bloated. Deep thoughts in the shower, people.